We hope the installation will give visitors a great taster of the innovative features we plan to include in our new Centre and school. 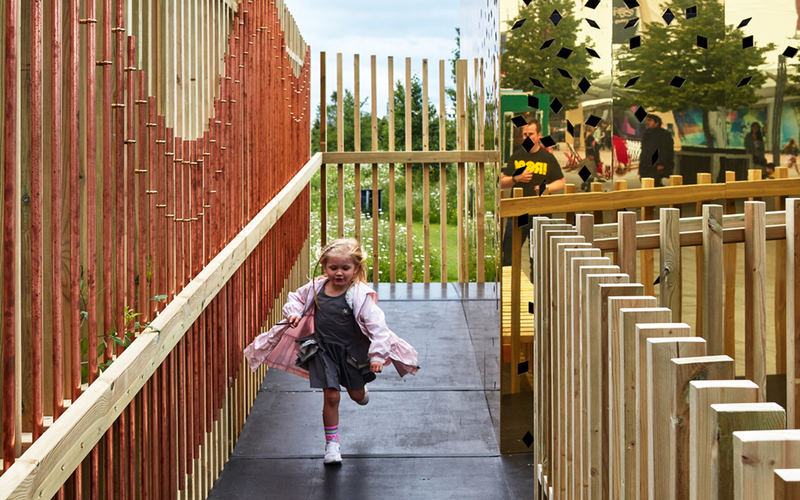 As part of the London Festival of Architecture we created ‘The Milkshake Tree’; an interactive timber installation and sensory garden which acts as a platform to share and educate the public on environments that help to stimulate, heal and support growth. 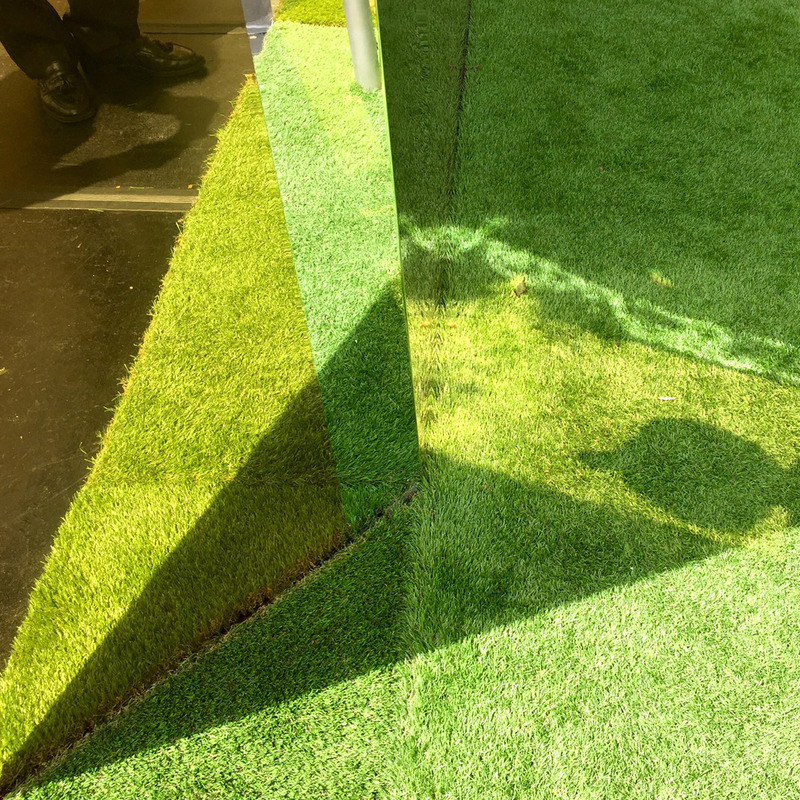 The playscape stimulates and encourages play through sounds, smells, movement, reflections and varying surfaces. Using Conductive Education techniques, The Centre for Children with Cerebral Palsy aims to inspire children with Cerebral Palsy to develop independence, confidence and to achieve their full potential. 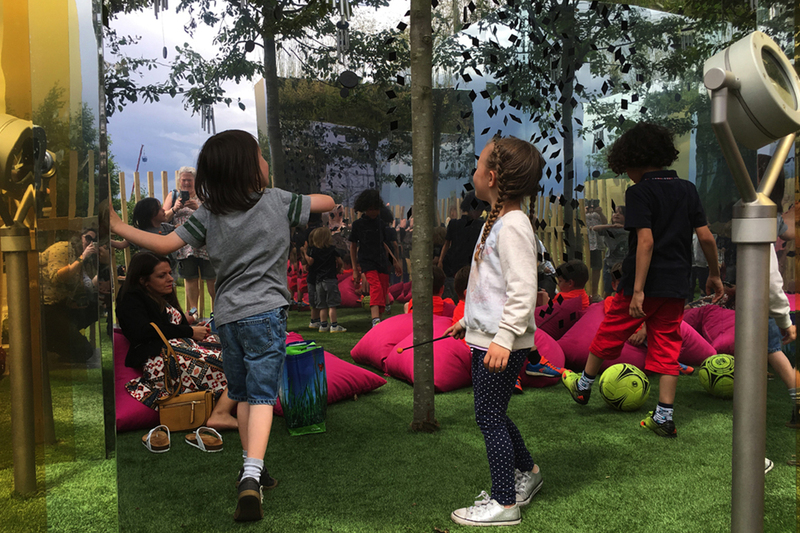 The Centre seek to turn all given parts of a child’s day into an immersive learning situation, providing opportunities to practice emerging skills not only in specific learning situations but in the many interconnecting parts of their lives and day. 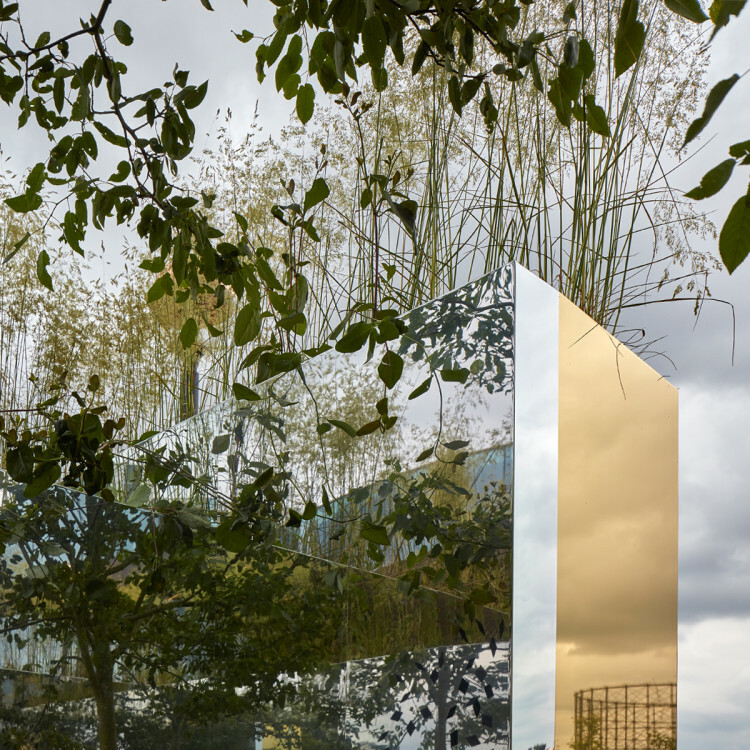 We have loved working with the Centre to design their new home through a series of workshops. 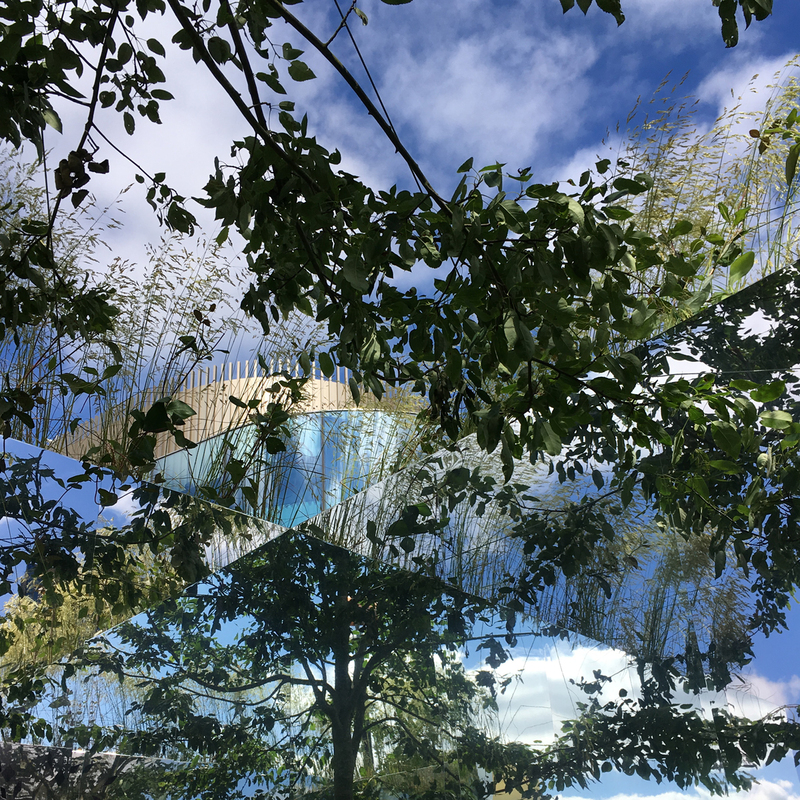 The Milkshake Tree has allowed us to play and explore some of the elements of the design for the Centre whilst creating a space for the public to enjoy at the Festival. 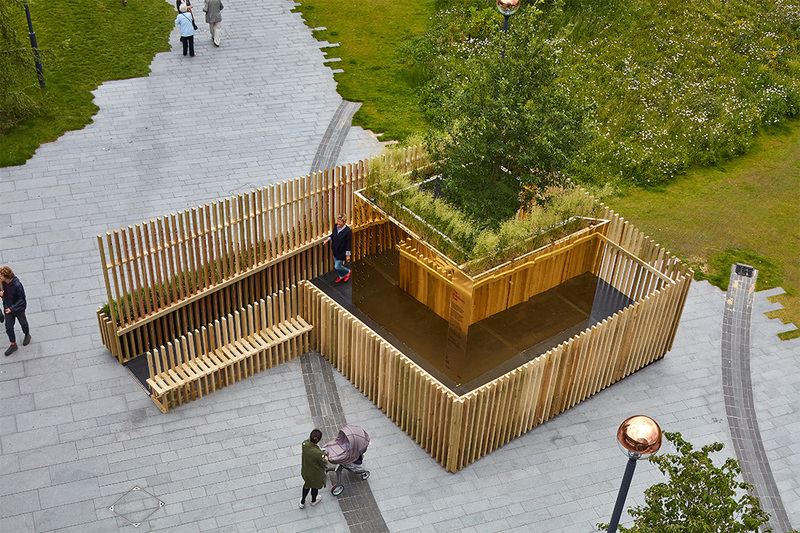 Afterwards, the installation will be taken to the Centre’s playground to be reinstalled as play equipment.